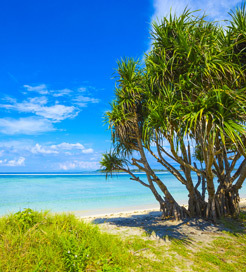 The Gilis comprise three beautiful islets, which sprout from Lombok’s northwest coast in the Indonesian archipelago. They're a haven for travellers and are one of the country’s most popular destinations due to the picturesque beaches, carefree locals and buzzing nightlife. Each island offers something different. Gili Trawangan, which is commonly referred to as ‘Gili T’, is famous for its party scene and is the most visited. Gili Air is home to a prominent local community and Gili Meno is the quietest and most laid back. So if you’re looking to dance the night away, Gili T’s myriad clubs, beachfront bars and restaurants provide the perfect setting. Gili Air has the nicest beaches and offers the perfect balance of tranquility and vibrancy, making it ideal for families. For total serenity, venture over to Gili Meno where you’ll find little evidence of Western influences. There is no motorised transport on any of the islands. Instead, the locals travel via horse and cart, or ‘cidomos’, which adds to the bohemian atmosphere that makes the Gilis so popular. The islands offer some of the finest diving and snorkelling in South East Asia, with a variety of marine life including hawksbill turtles, bumphead parrotfish and reef sharks. There are also a number of excellent dive shops and operators where you can attain PADI and SSI licenses. The turtle sanctuary on Gili Meno is a must for any nature enthusiast. Here, green and loggerhead turtles are nurtured in small pools until they are eight months old. If you're lucky, you can even watch them being released into the sea. There are two ferry terminals in Bali which sail to both Gili Trawangan and Gili Air. From Padang Bai in the south-east, there are high-speed services running every day. There are also daily crossings from Serangan on the south-central coast which take slightly longer. For more information, please visit our Ferries from Bali to Gili Islands page. For more information, please visit our Ferries from Lombok to Gili Islands page. For more information, please visit our Ferries from Indonesia to Gili Islands page.